I don’t really know where to begin with all of this. I was told by a few people that it would probably be a good idea to get my thoughts down as we go through this incredible journey. It will be really cool to look back, years down the road and read these entries. It’s been a few weeks now since we had a positive pregnancy test after only our second month of IUI procedures this time around. When Danielle called the doctor and told them that we had a positive pregnancy test, they told her she needed to do some blood work to confirm what the test had revealed. The nurses were pretty adamant that day about Danielle’s hormone levels being so high and it gave us a little bit of hope that this could possibly be more than one a baby that we were dealing with. We had to go through the same procedure (infertility drugs and IUI) in order to get pregnant with our first child Blayke. I told Danielle that whatever God blessed us with this time around would be enough for me, because i did not want to go through the stress and emotions of a 3rd round of Fertility treatments. So, obviously Danielle was praying for twins this time around and she had a very strong feeling that we were going to have multiples. 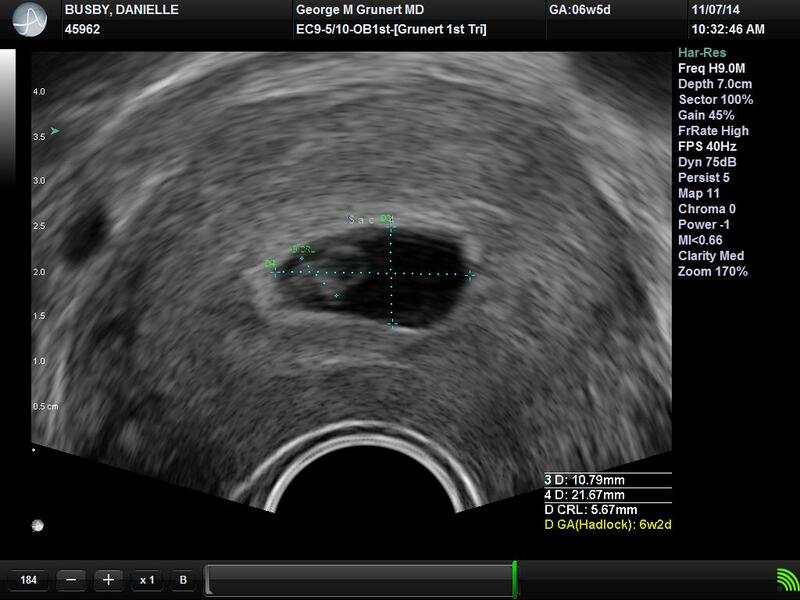 The doctor scheduled our first ultrasound appointment a few days later expecting to see the fertilized embryo implanted into the uterus. 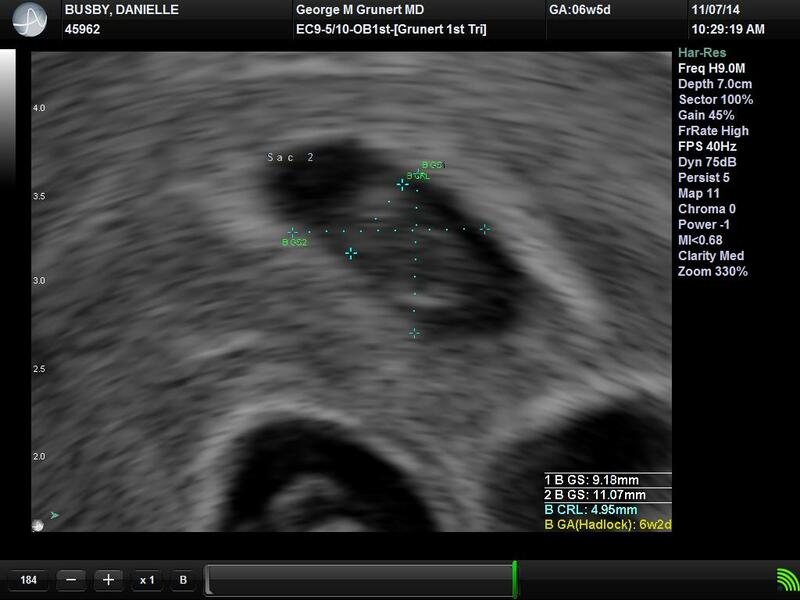 That was a tough day for us because Dr. Grunert didn’t see anything in the ultrasound. There was only a few options of what could be wrong. Either the pregnancy was in the tubes and we would have to abort the pregnancy do to the risk of catastrophic injury to Danielle or the baby was just taking longer than expected to make it’s way into Danielle’s uterus. Danielle went ahead and did more blood work to confirm her levels had continued to increase, which they had, so we waited another week or so and did another ultrasound. But for some reason we never had the “what if” thought that came up at the next appointment. The day had finally come for our next ultrasound, that was a day when we would find out what an incredible Journey God had put us on. As soon as the ultrasound showed what was inside, Danielle and I immediately saw that there were multiple babies there!!!! I thought my heart was going to be out of my chest and I just stared between the screen and Danielle’s face with my mouth and eyes wide open. Danielle literally started laughing, why..I have no idea haha. Dr. Grunert knew that we saw the same thing that he did and proceeded to tell us not to panic (yea right, that ain’t happening) while he recalibrates his machine for more than one child. I think that he was just stalling in order to give himself some time to process what he had just seen and game plan what to say to us next. He told us that he is counting 3 and our family just doubled in size. 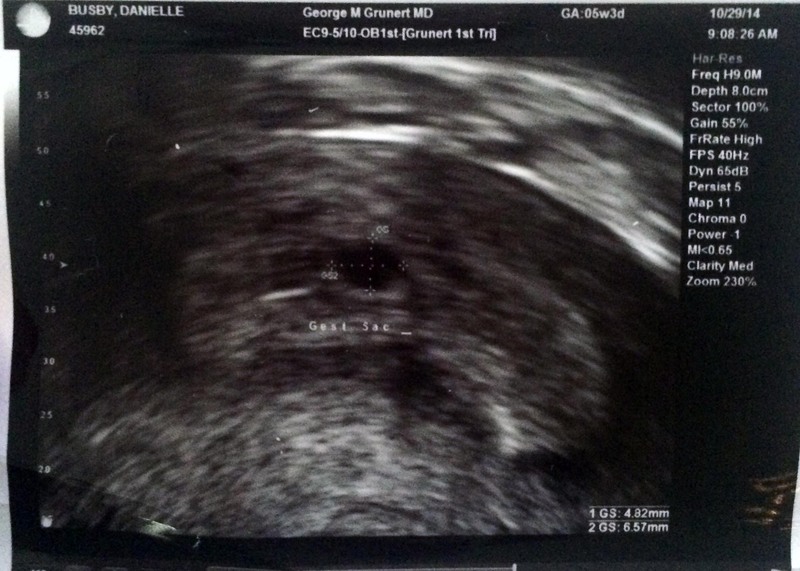 Dr. Grunert continued to look around to ensure that everything was ok with Danielle’s ovaries and everything else that he needed to check on. That is when he caught a glimpse of baby #4 off by itself waiting to make his or her grand debut. Our lives will never be the same! We are now one of the very few couples in the world that get entrusted with such a great responsibility or raising quadruplets. God must really think we are some special parents…(pat on the back lol). Once again, Danielle starts laughing and I think it’s because of shock…oh, how we handle things differently haha. 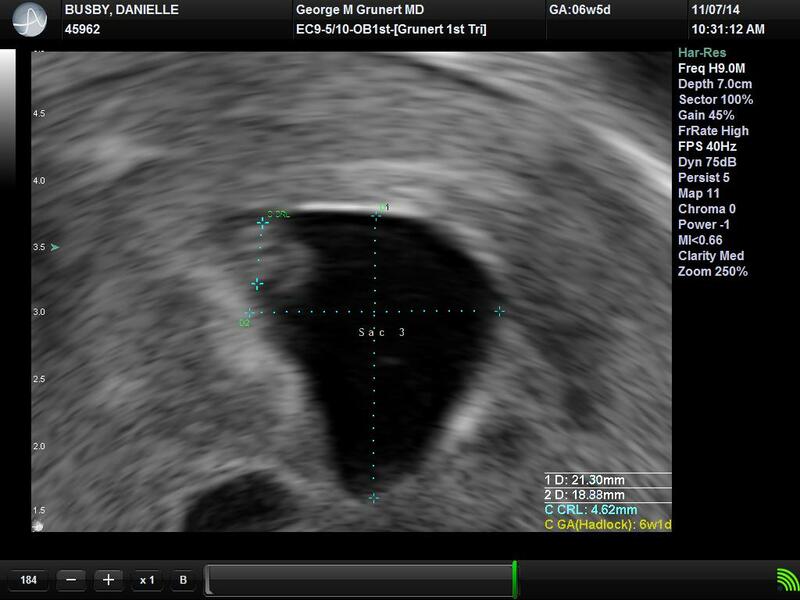 Dr. Grunert ran us through a few scenarios of what would possibly happen over the coming weeks until our next ultrasound appointment. He said that there was a high likelihood that one or two of the babies would stop growing or there is a very very slight chance that some of the embryos could actually still split. I remember thinking how scary that could turn out. The next few days were filled with shock and thousands and thousands of questions and decisions to prepare for that were floating around in my head. How are we going to do this? It’s crazy how easily all these doubts try to weasel themselves into my head. It’s God’s gift that we are pregnant with quadruplets, He will be the One to get us through it. The next couple weeks we tried to prepare for the inevitable. I went from looking at new houses to cars and constantly reading blogs written by others who have been in our same situation. I wanted to have everything figured out, but there is no way that we can be fully prepared for what is going to happen. Yesterday was our fourth ultrasound. We were going in expecting to either see that one or two of the babies stopped growing or that they were all growing just fine. Prayers over these few days were mainly focused on seeing that each baby matured and grew as it was supposed to. We were preparing ourselves for either scenario. Once again…. Never thought what happened next was even possible at this point…. 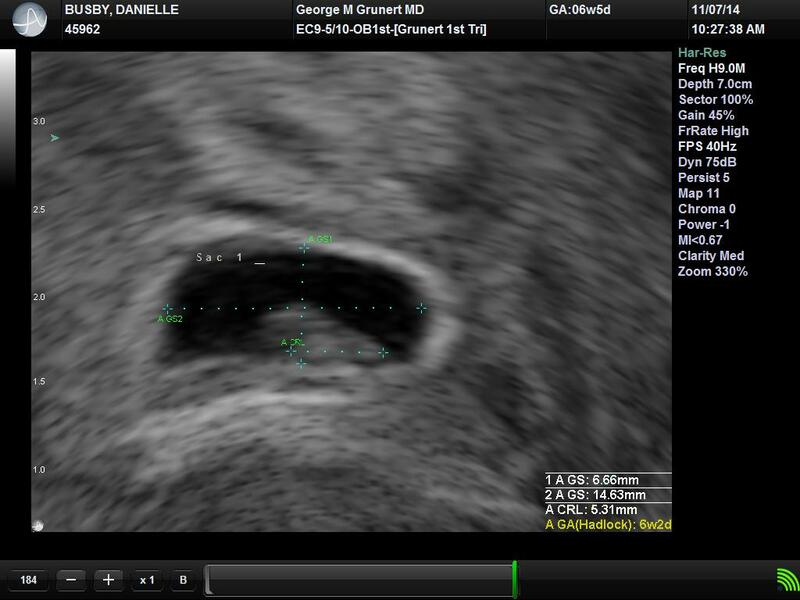 We saw it as soon as the ultrasound machine started recording. There it was clear as day, twins! We had one egg split and are now expecting 5 little ones! Wow! Is this really happening! 5 babies! Dr. Grunert said that we are beating all the odds that were stacked against us at this point. Not only are we now dealing with 5 little miracles, all of the babies are average or above average in size for their age and all have great heart rates. What a huge blessing but also ….the thought of ….ummmm what’s going on God, lol. We are yet again in shock at our new little…BIG surprise. God is sure up to something special and we can wait to see where this journey in life is headed.